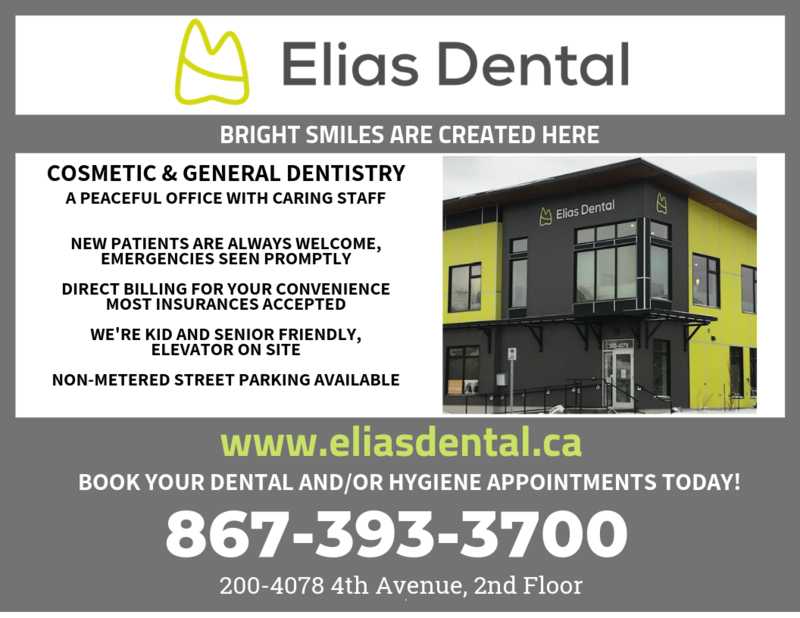 Visit Elias Dental for comprehensive dental care services. From hygiene and cosmetic procedures to surgeries performed with the latest technologies, Elias Dental accommodates patients of all ages. New patients are warmly welcomed to Elias Dental. Make an appointment today with our Whitehorse office. All insurance plans are accepted at Elias Dental, including First Nation. Accidents happen, whether that’s a chipped tooth or a lost dental aligner, and Elias Dental makes sure to keep our schedule ready to accommodate a variety of dental emergencies. Call today for details. Have a general question about your dental health? Send us an email by filling out the form. We will respond to your inquiries as soon as possible.